Toddlers’ Workshop offers age-appropriate classes for different age groups in both Afrikaans and English from Monday mornings 09:00 until Saturdays 13:00. 21 months – 4 years. Parents sign up for a ten-week term and need to give a term’s notice in advance to guarantee their toddler’s space in the group is not taken by someone else on the waiting list. 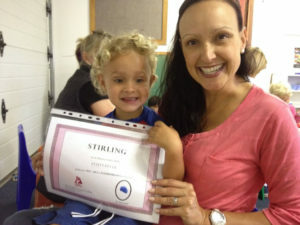 Each toddler/baby receives a Toddlers’ Workshop T shirt on registration and a certificate when ready to move on. 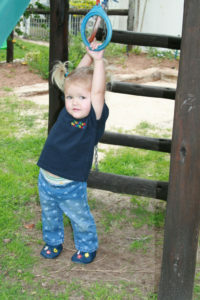 All classes offer intellectual, social, emotional, physical development enhancing sensory motor integration. The program is structured to enhance the toddler’s drive towards independence, whilst offering the emotional security of having mom at hand. A variety of instruments help develop a sense of rhythm and the songs contributes to language development. A huge focus is placed on sensory motor activities and messy and creative activities helps develop the whole child. 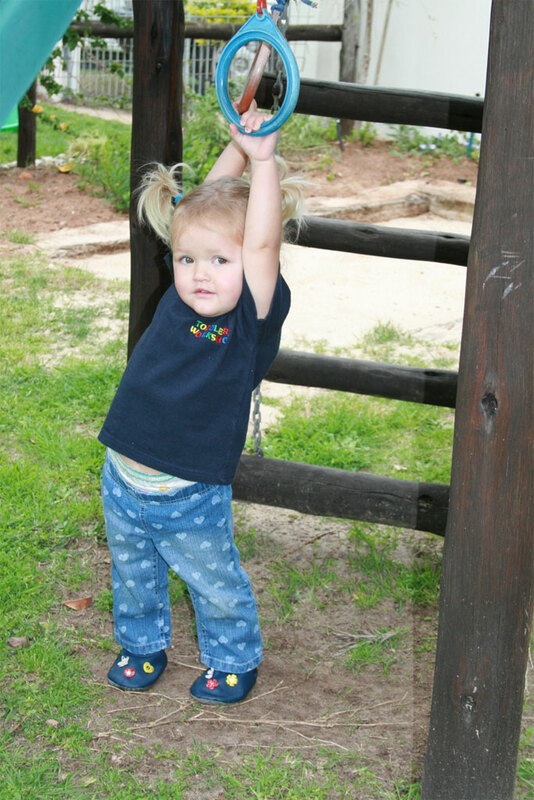 The other focus is on gross motor development to reach the appropriate milestones and to develop them in sequence. Tea times accommodate the mom’s desperate need of contact with other moms/parents.